Climb a mountain, eat, drink, hangout and revel with other crazies like yourself… and then slide down the mountain in complete darkness guided only by a headlamp powered by two AAA batteries. If you’re like me and this sounds like your idea of a good time, that’s great. We are not alone! 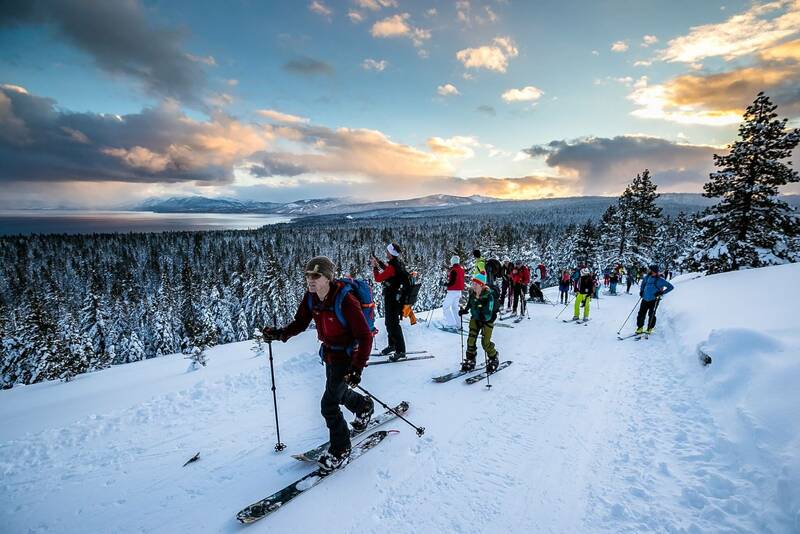 On Saturday, February 23, 2019, Alpenglow Sports in conjunction with Dynafit will hold the annual Nachtspektakel at Homewood Resort in Lake Tahoe. 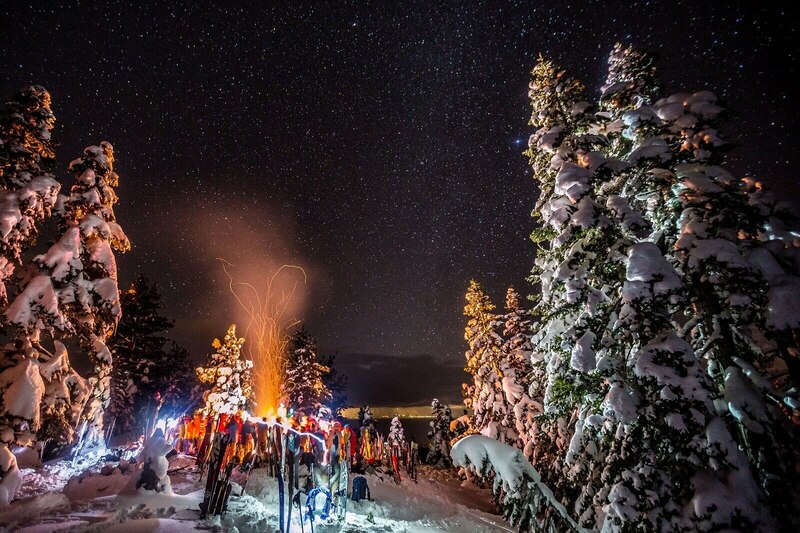 If you like skiing, drinking, eating and being merry with like-minded individuals during the cover of darkness, this popular European event is for you! How this works is you get a group together and skin to the top of a mountain. Usually the ascent begins when the sun is setting or at night. As you begin the climb, you’ll be greeted to good conversation and hopefully an amazing sunset. 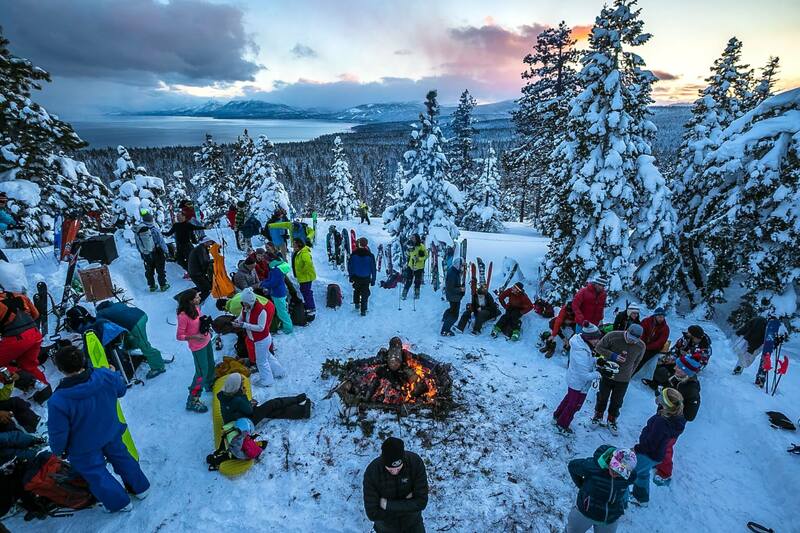 Once you make it to the Big Blue View Bar at mid-mountain, the party begins! Uphill Followed By Food, Fun & Celebration! Expect a delicious meal prepared by Homewood’s Chefs. As more and more complete the journey to the lodge, the excitement and celebration will grow along with a large bonfire. The atmosphere will be electric, friendly, and most of all fun. A great dinner accompanied by quality beer! If you’ve never attended this event, we highly recommend it. Space is limited so act quickly or you’ll miss out!